The Haute Horologerie brand was first founded in 1996 in Fleurier in the Val-de-Travers and was named after its founder, the watchmaker Michel Parmigiani. The Parmigiani Fleurier brand has enhanced its international profile by maintaining the high aesthetic and mechanical quality standards of its watches. 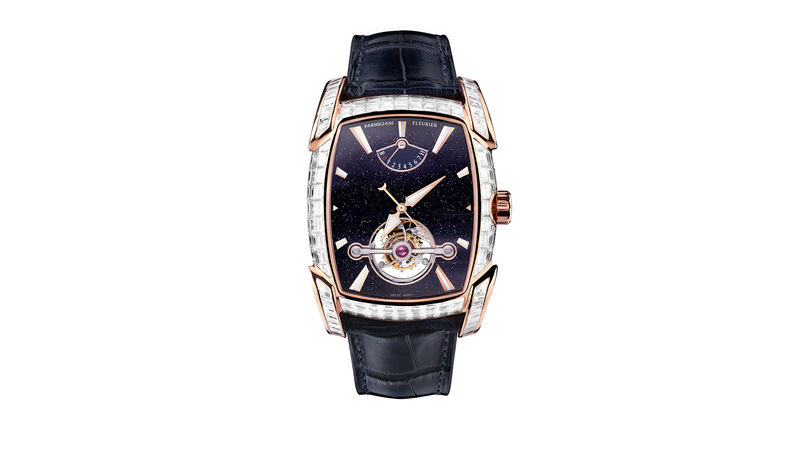 In just a few years, Parmigiani Fleurier has gained credibility in a field that tends to favour tradition over modernity. However, its founding values, the restoration of artistic watches and the masterly quality of its mechanical complications have established its credibility and uncommon level of authenticity among public opinion. Parmigiani watches stem from the accuracy of the designs produced by Master Watchmaker Michel Parmigiani, who seeks a balance between design principles and classical proportions both in the company’s more traditional lines, the Toric and Tonda collections, and in those with a more remarkable character, embodied by the Kalpa and Bugatti collections. Parmigiani Fleurier watches look to tradition for its watchmaking precision and to classicism for the elegance of its watches’ finish. 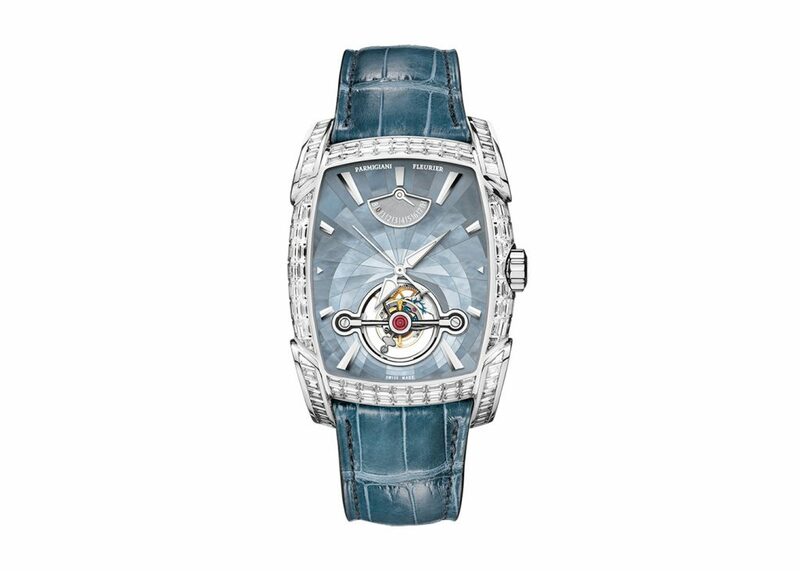 In 1997 Michel Parmigiani designed the first Kalpa. For his first model he wanted the horns to be part of the case, with a drop shape inspired by the natural proportions of Fibonacci’s golden number. Once the profile had been established, the tonneau shape of the case middle turned out accordingly. From then on, the profile of the Kalpa appears on the horn of all of the Maison’s watches and has become a distinctive feature of each creation. A name that recalls a simple and seductive roundness, which for this collection has become a field of exploration. This collection has given rise to a very minimalist series of ultra-thin models (Tonda 1950), a thrilling and daring modern version (Tonda Métro), not to mention the Transforma, the chameleon like instrument that can be worn on the wrist, carried in the pocket or used as a table clock. 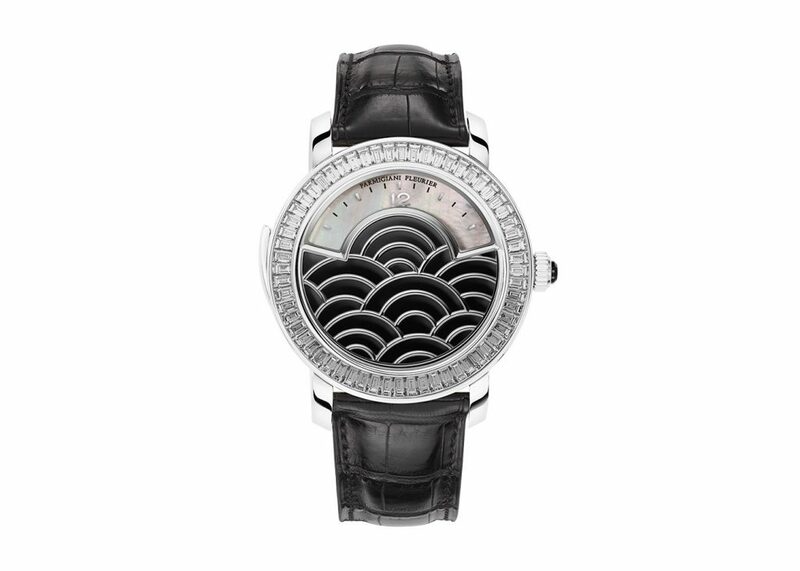 In 2017 Parmigiani presented a revised version of the Toric collection, with its classically inspired case that makes it so akin to art. 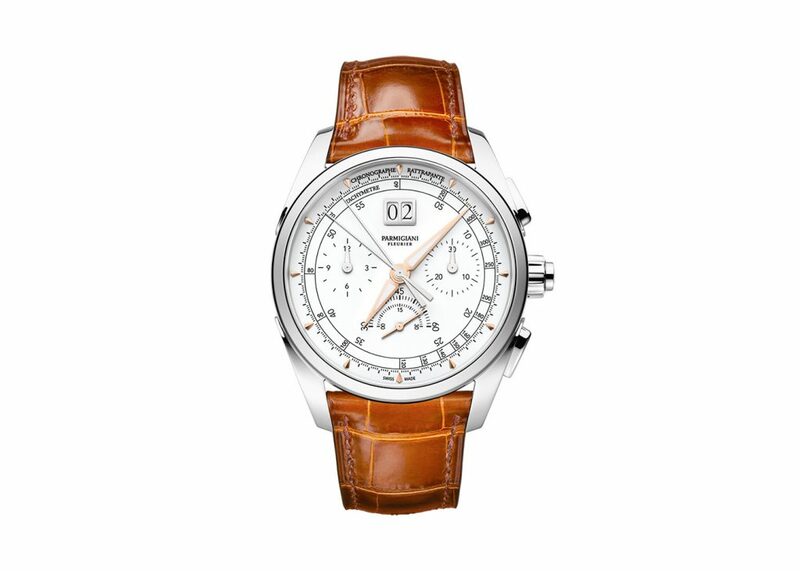 Michel Parmigiani’s design, as he was personally involved in the creation of the collection, involved an in depth study of the proportions of each of the watches aesthetic details, based on the fascinating Fibonacci series, the geometrical progression that links many of the most beautiful shapes found in nature and inspired classical art. In the Toric the profile of a column lends its shape to the winding crown. The lines of an ear of corn inspired the design for the automatic rotor.